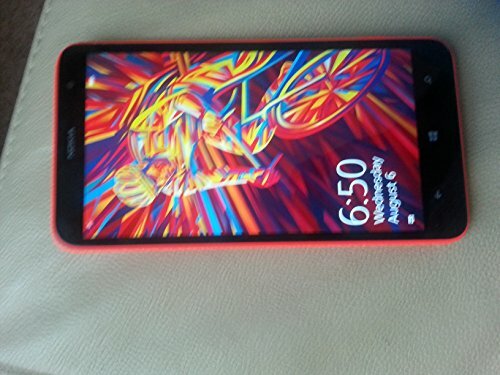 Nokia Lumia 1320 is a nice cellphone launched in October 2013, featuring a huge 6-inches touch-screen, a powerful 1700 megahertz Dual-Core processor, a 5 MP back side camera and a 0.3 megapixels front facing camera. This phone is equipped with a great performance 1700 megahertz Dual-Core CPU, packed into the Qualcomm Snapdragon S4 system chip with 1 GB of RAM memory. To collaborate with graphic intensive applications and games, the Lumia 1320 also has an Adreno 305 graphics processing unit ticking at 450 MHz. A good advantage of this cellphone is its quite big 8 GB internal storage and an SD memory slot, which allows the user to install a couple hundred apps and games without any trouble. 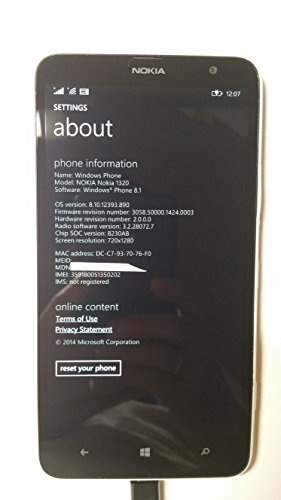 Apparently Nokia didn't care much about the weight in this 7.76 oz phone. 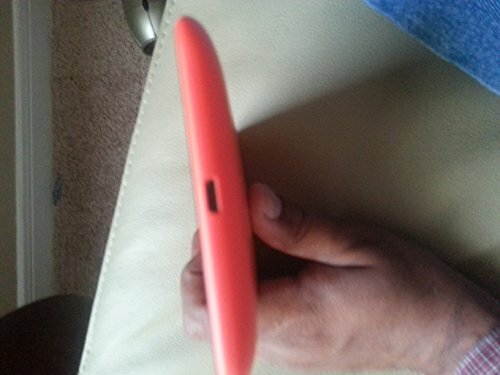 This cellphone is for sale in a wide range of color variations like black, orange, yellow and white. Although this cellphone is only 6.46 inches long, it still manages to pack a 6" display. 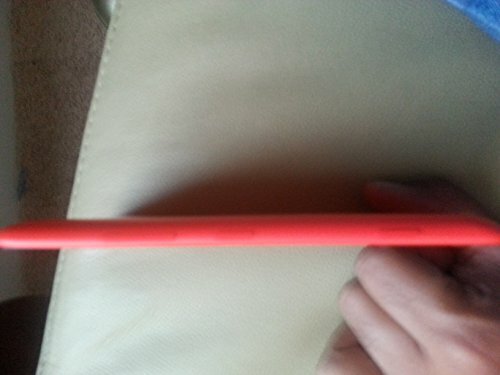 Being just 0.39" thick,the Lumia 1320 is incredibly thin and stilized. This cellphone is equipped with two cameras, a 5 mega-pixels back facing camera and a 0.3 megapixels front side camera. This cellphone can also capture Full HD 1920x1080 videos at 30 frames per second. The camera also includes a few good features: auto-focus, flash, face detection shooting and geo tagging. Nokia equipped this phone with a good looking 6 inches display, and a resolution of 1280 x 720 (HD), which makes it hard to distinguish the pixels in the display. This display uses IPS LCD capacitive technology, and is multi-touch enabled. The Lumia 1320 packs a 3400 mAh large non-removable battery providing this cellphone a great battery duration. Nokia claims this cellphone has a 672 hours stand by time and a 25 hours talk time. An issue to evaluate is that the Lumia 1320's battery is not removable	so you can't throw it away and buy a new one when it begins to get older, even though having 3400 mAh you will probably discard this cellphone before that becomes a real problem. This phone offers Wi-Fi connectivity (which can be shared with other devices around, as a mobile hotspot), LTE 4G high speed connectivity and also HSPA+ data connection, which is a lower speed 4G technology or the fastest 3G connectivity, supported by HSDPA, HSUPA, UMTS and EDGE technologies. This phone uses a Micro SIM card for GSM services. This phone also includes some interesting features like Bluetooth (enables communication with other bluetooth phones, computers and accessories), GPS Localization and NFC (to trigger actions, transfer data or make payments by holding your cellphone close to another NFC device or tag), and multiple sensors like Light Sensor, Proximity Sensor, Accelerometer and Compass. 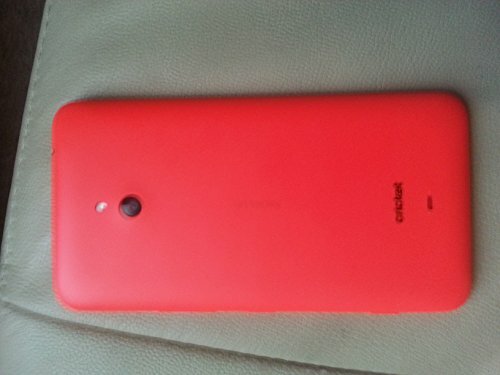 Nokia is offering this cellphone for just 230 dollars, which is quite cheap for comparing with other similar devices. It doesn't matter whether you will use this cellphone to play games, are looking for a social device or want it for work, you will probably be very pleased with it. This phone is sold with Quick guide, Nokia Stereo Headset WH-108, Nokia Charging and Data Cable CA-190CD and Nokia AC-60 MicroUSB Charger.